for the man who is able to achieve it. I knew I would one day go to Iceland. Many of us interested in the Anglo-Saxons or Vikings eventually find their way there – it is an inescapable draw. 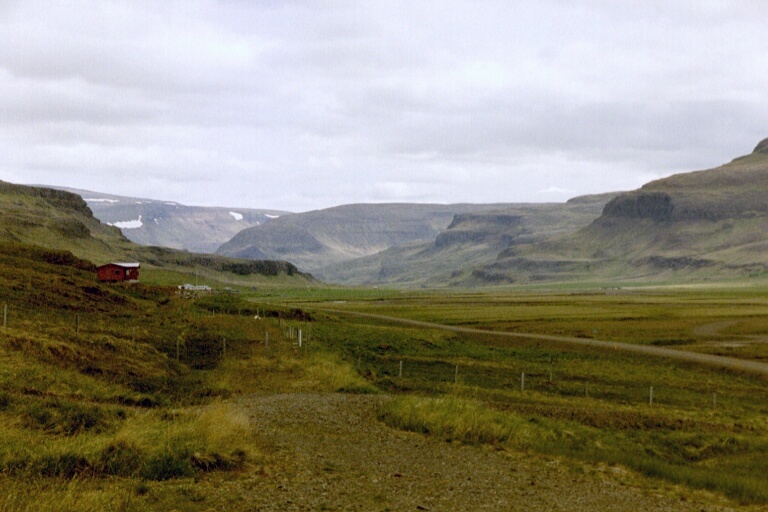 This is because the great literary treasures of Iceland – the Eddas and Sagas – are our most important sources for Old Norse history, religion, and thought. 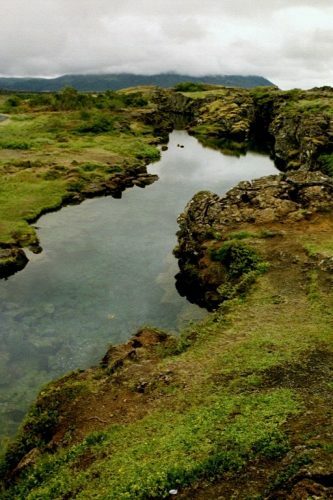 This small country nearly touching the Artic Circle has a thrilling history kept alive in the hearts of Icelanders today. A careful traveller, I had done a great deal of research about Iceland before I boarded the plane at Heathrow for the three hour flight. But I still found the physical beauty and drama of the country to be almost beyond my belief. Truly, nothing I had read or seen had prepared me for it. I found myself continually uttering the word “magnificent”, unable to come up with anything else. Volcanoes one can easily walk to and peer into the caldera filled with shimmering turquoise water. Waterfalls everywhere, often of the same utterly gorgeous turquoise colour. Great gushing torrents of boiling water streaming up from the ground or out of cliff faces and forming hot pools. Rolling lava fields, their black and reddish-brown stone crowns tipped with gray-green lichen. Acres of purple lupines, all in full bloom, and waving in the wind. Fields of gorse, heaths, tiny birch trees, miniature vegetation of all sorts making a patchwork of greens, blues and pinks. (There is a joke there: If you get lost in an Icelandic forest, just stand up.) Seventy thousand Icelandic horses, all descended from the original Norwegian horses carried over in the 9 th century, in every imaginable shade; there are close to 100 colour variations. 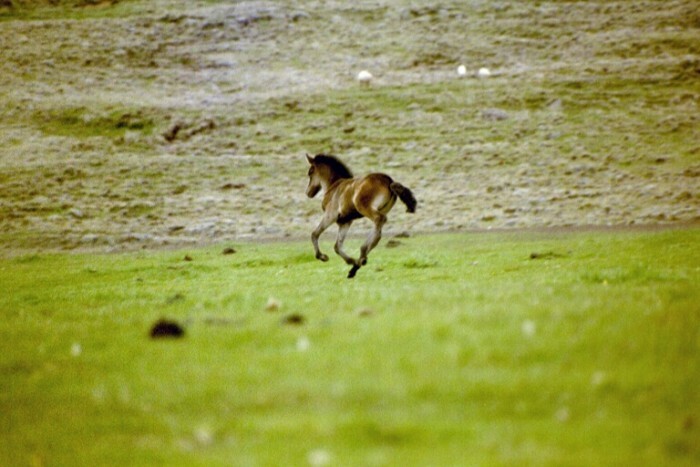 These sturdy little equine beauties with their long manes and tails are everywhere – seeing herds of 50 or 100 together is not at all uncommon. One million white, black, and cocoa brown sheep, at this time of year mostly ewes with their little twins, all nimbly and athletically navigating the steepest ravines and crags. A land where beautiful elves – Huldufolk – the Hidden People – still roam, and where giant trolls, caught by the rising Sun and so turned eternally to stone, dot the landscape. And above all this wonder a Sun that never set! For I had wished to experience the Summer Solstice in Iceland, and was rewarded with the merest dimming of the brilliant Midnight Sun between the hours of midnight and 3 am. 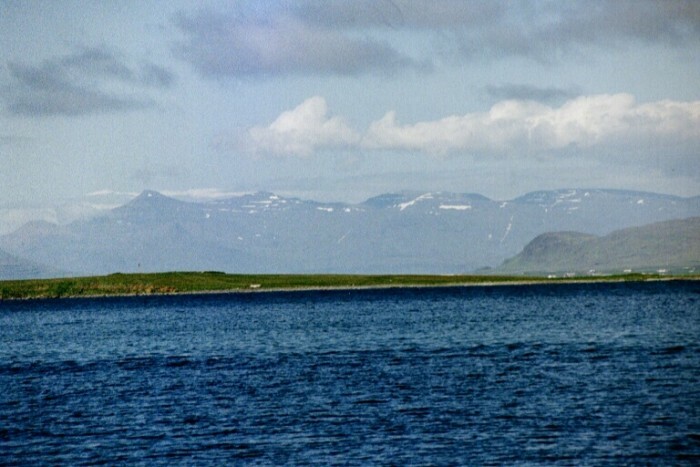 View North from Reykjavik harbour.